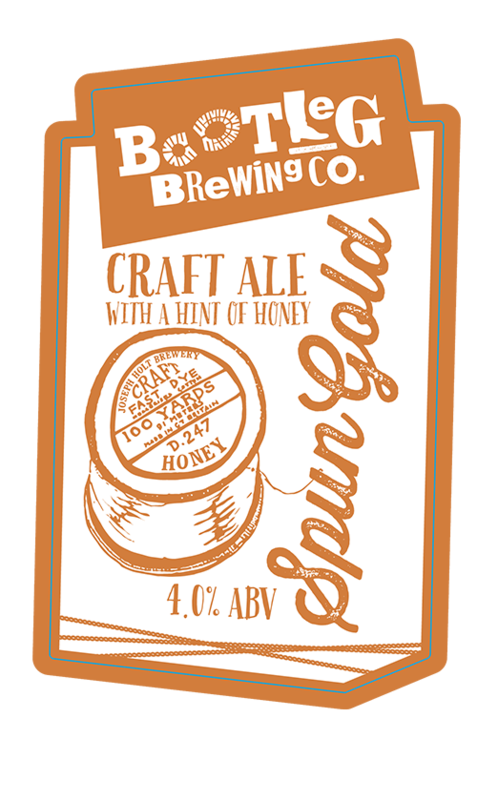 Spun Gold - Bootleg Brewery Co.
A refreshing deep golden ale brewed with honey and choice American aroma hops. Wonderfully balanced and deeply satisfying. Copyright Bootleg Brewery Co. All Rights Reserved.